Whenever you search for trucks for sale, especially if they are used ones, as a buyer you must be aware that it may need a few minor repairs and care before they are ready to hit the road. When talking about repairs, we are referring to some aspects of your truck such as the tires. Even though your truck appears as though it is brand newwhen it comes to the wear and tear of the tire tread, this could be a different matter. On trucks with small configurations, it is usually easier to simply go ahead and throw on new tires or consider retreading them before purchase. 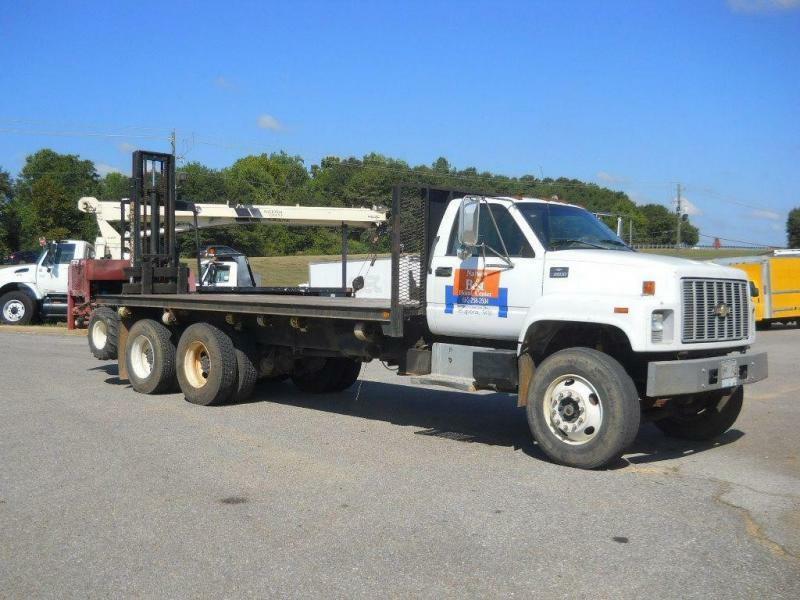 However, for used trucks for salewith more than two axles, (especially if you are planning to get a trailer), this can be a pricey maintenance. Hence, here are some tips from us at Moffett Truckon how to know whether your trucks need new tires before you put them on to work. In the book of tricks for trucks, this remains the oldest, yet a working trick. You can pull out a penny; stick it into the tread of the tire. Can you see Lincoln’s face (all of it)? If you can it means, the tire tread is quite shallow to give good traction. However, if the tread takes up most of the penny, it shows it is in good condition. The good thing is that most tires today come with features that make it easier to tell whether the treads are wearing away and safe to use or not. When the tread starts to wear away, you will see that the flat bars expose, and remain perpendicular. At such times, if you can see them, it means you should replace the tires. In extreme cases, a time could come when the tires wear away to an extent where you will see their metal wires exposed or the belting that reinforces the tires coming out. If the tires wear away to this limit, it means it is not safe for you to consider driving and you need to replace the tires before you take the truck on the road again. Should You Balance the Tires? When it comes, down to whether or not it is worth the investment to balance the tires or not, there remains a big dispute within the trucking industry. Manufacturers also debate over the possible benefits it could actually bring. If you are planning to replace the tires, then yes, the question of their balancing will come up. Probably, you may get some benefit after balancing the tires, but this will remain somewhat small, except for your trucks drive wheels. At such times, we do recommend that you balance those. Know that well-balanced wheels will help to make your rides more comfortable and smoother. At Moffett Truck, we can attend to all your repairing needs too. For more on our repair services, feel free to get in touch with us!